The Hitchin Town Action Group was set up by The Hitchin Society, Hitchin Forum, Hitchin Historical Society and Hitchin Initiative to enable local people to have a say on the future of Hitchin Town Centre. The launch meeting took the form of a workshop to which local people were invited via emails to those who supported the petition on Churchgate in January 2013, the memberships of the organisations, and by use of local publicity through a poster and articles in the local press. Appendix A summarises the information provided by attendees on how they heard about the event. There were 79 attendees. Two thirds of attendees were over 60 years old, with all but four of the rest being over 40. The need to target younger people for future events is recognised by the steering group, and suggestions are made in the final section of the report  – responding to specific suggestions made at the event. The home post codes of attendees show an even spread through the town with the exception of Westmill and Walsworth/Purwell. There were only a few attendees from the villages (reflecting the lack of response to the posters provided – see above). The steering group will use this information to target a wider range of areas for future events. The evening was designed to enable attendees to write down their own ideas on a series of general topics with minimal help from facilitators. It was suggested that Churchgate issues should not be a main focus of discussion at this stage pending further work on the current proposals. Each attendee was able to comment on all of the topics summarised in the next section. The final section (‘Next Steps’) will be available shortly, and will outline the priority actions the steering group recommends are taken forward, based on the issues and suggestions raised. Feedback notes for all the topics are to be found at www.hitchin.co.uk. Main findings are presented here under the topic heading where they were discussed most fully by respondents. Where there is a different insight on the issue elsewhere a reference is given to the relevant section. 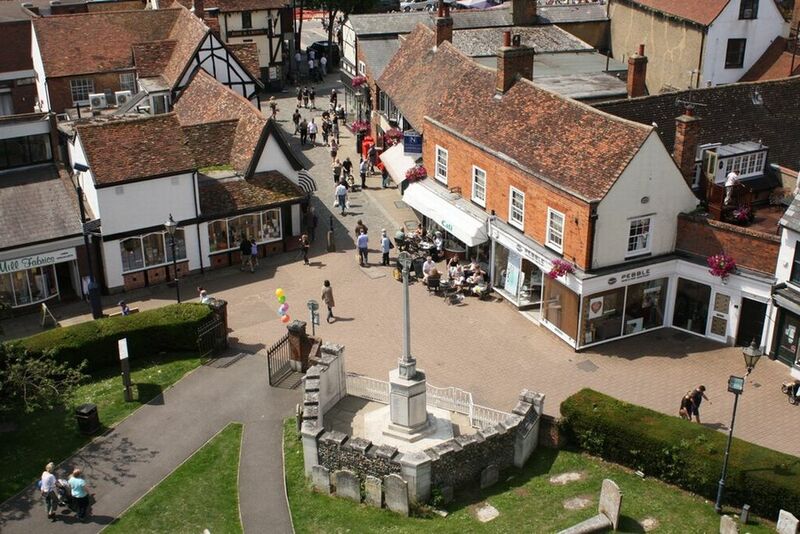 People value highly the variety offered by Hitchin’s many independent and specialist shops. The historic character of the town centre, together with the wide range of coffee shops and eating places, reinforce Hitchin as a very attractive shopping destination. More traffic-free streets and better and lower cost parking (see also 2.4). Accepting that shopping area may shrink with more residential use on the fringes (see also 2.2). Hitchin Market is highly valued, but there is scope for improvement in terms of quality and variety, including the replacement of the existing permanent stalls to increase flexibility of use of the area (see also 2.3 and 2.5). Consideration should be given to a market hall; and also more farmers’ and foreign markets (perhaps in Market Place). Other suggestions include promotional schemes such as introducing a “Hitchin pound” with possible incentives (for instance free parking for a specific amount of spend). One of the most important of Hitchin’s assets is the physical layout of the town centre and particularly the Market Place and other spaces in providing a ‘gathering ground’ for people to meet and participate in events. Existing facilities, including meeting places in the churches, pubs and cafes, are considered to provide space for a wide range of activities for different ages. Potential for more use of facilities at the Library, Church House (possible redesign), Queen Mother Theatre, British Schools Museum (and the New Museum). Inclusion of allotments where appropriate as part of community open space. The meeting of specific housing needs is supported to increase liveliness and security in the town centre, though there is concern at potential of loss of other facilities (such as pubs) and of small open spaces and gardens. The need for greater controls over opening hours is mentioned in this context – as is the importance of the Rangers and policing. Hitchin’s historic environment with its architectural variety and alleys and pathways is seen as a main attraction for shoppers and visitors. The Market is seen as important and needing to be given priority in planning of the town centre with opportunity for improvement (see also 2.1 and 2.5). Increase co-operation between business, local authority and town groups (possibly through a trustee group) to enable implementation. The town centre has suffered from some poor planning decisions and developments in the past, but there are examples of new development that are appreciated and there is scope for good modern design in new developments sensitive to the historic context. Develop shuttle bus links from Luton airport to town centre (and the new hotel). There is much concern about the quality and quantity of the town centre car parks and objection to the level of charges compared to elsewhere in North Herts. Pay on exit charging would be welcomed. The Lairage in particular needs improvement and better signing. The need to find a new access route for HGVs to the industrial area, and to remove through traffic. Improvements to dangerous junctions, notably Willow Lane and Parkway. The view of St Mary’s from the east is the key view in Hitchin and must be protected. The Market is very important in this location and at about the current size – but it should be .smarter, work better at night and be used on non market days (for example for farmers and craft markets). Replacement of other buildings should be pursued in wider area along Queen Street (as at PO site). Access could be improved with multi storey car park, better signage and pedestrian links, and shuttle bus (station/ Woodside/ town centre). Car parking areas including the Lairage need to be made more attractive (see also 2.2). Use of an information board to explain the history of the immediate area. Most of the comments provided in the free time at the end of the meetings have been included where appropriate in sections 2.1 to 2.6 above. There are, however, some topics not covered elsewhere. We should however avoid ‘over sanitising and neatening up’, or making Hitchin look too much like Letchworth. There are also comments on implementation and maintenance, including questioning of the practicality of changing the one way system, and concerns about the condition of specific open areas (such as local roundabouts and the Wymondley by-pass). There is a suggestion that more use should be made of S106 monies for community benefit. Other town wide comments include recognition of the housing needs of younger families, but also concerns about Hitchin continuing to grow and the loss of Green Belt. The report has been circulated to Hitchin councillors and discussed at the Hitchin Committee on November 12th, where it was well received. It will now be considered more fully by the HTAG Steering Group. Watch this space! Part 3 of the Report (‘Next Steps’) will follow shortly, after further discussion by the HTAG Steering Group. It is expected that there will be a HTAG meeting on Churchgate in 2014 when more information is available.